Want to Learn How to Use Evernote? I am a big fan of Evernote. Have you used it? Would you like to learn more about it? I help people with Evernote all the time, and I am available for giving talks about Evernote to your friends and colleagues. 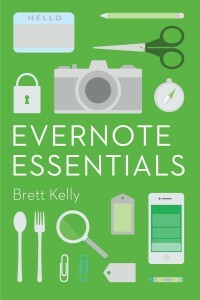 I also like to recommend Brett Kelly’s thorough and enjoyable ebook guide, Evernote Essentials. It covers everything you ever wanted to know about how to use the world’s best note-taking app, with instructions for PCs, Macs, and all smartphones. You can learn more about this ebook at my affiliate link here. Evernote Essentials by Brett Kelly When you buy the ebook from this link I will receive a small commission. Even if you get the ebook elsewhere, I recommend Evernote Essentials if you are new to Evernote, or if you already use it and want to learn more. He will be coming out with an updated version of Evernote Essentials soon. NOTE: When the new updated version comes out, the price for the ebook will be going up. However, all updates are FREE to existing customers. So buy it now at the current price, and he will send you the updated version for free.